Drag the Speech > Creation > Say box on the grey area. Create a link as below. Your robot says “Hello”. In the meantime, the Robot view displays the message. 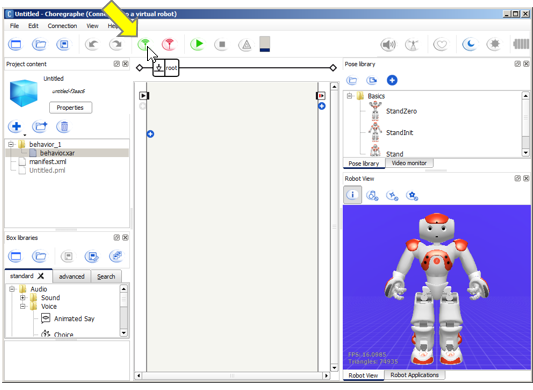 The Connect to button allows you to define on which robot you will send your program. Dragging and dropping a box creates a ready-to-use copy of a predefined program. 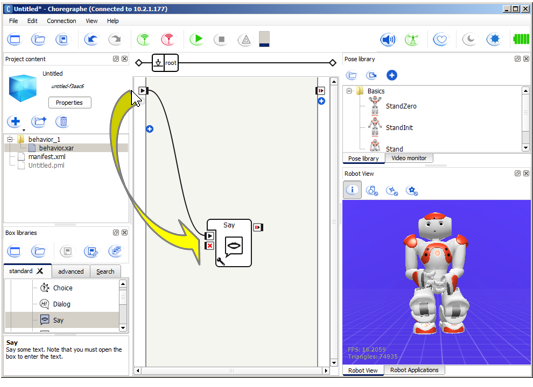 The Play buttons has a 2-in-1 function: it uploads the program on the robot and starts its execution. 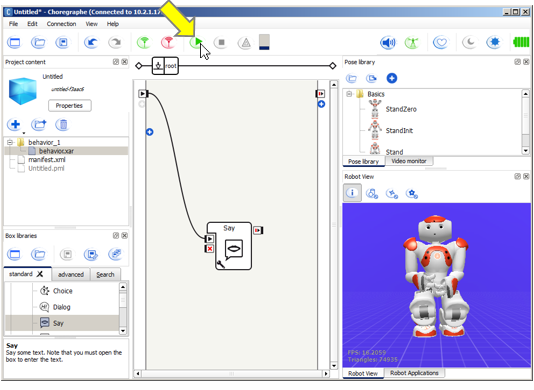 The execution automatically starts the box linked to the onStart input. 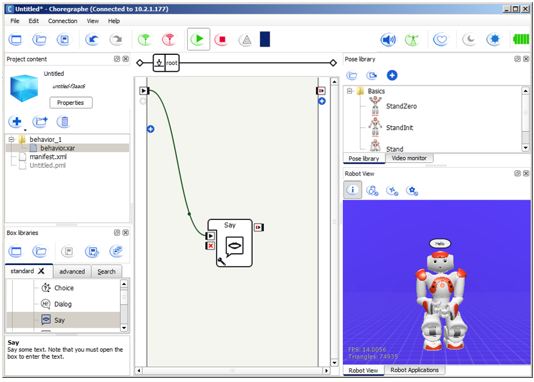 In Choregraphe, ready-to-use boxes allow you to create and play behaviors without writing a single line of code. While you are there, take the opportunity to discover Choregraphe more in details, trying to make your robot walk, for example. See: Your first steps in Choregraphe. What about creating your first script? Try to create a Python script using Choregraphe editor: Hello World 2 - using Python in Choregraphe.